THE ISLE OF MAN Steam Packet Company (SPC) has announced it will be expanding the motorcycle capacity on one of it its fast craft by 30% for the 2015 TT. 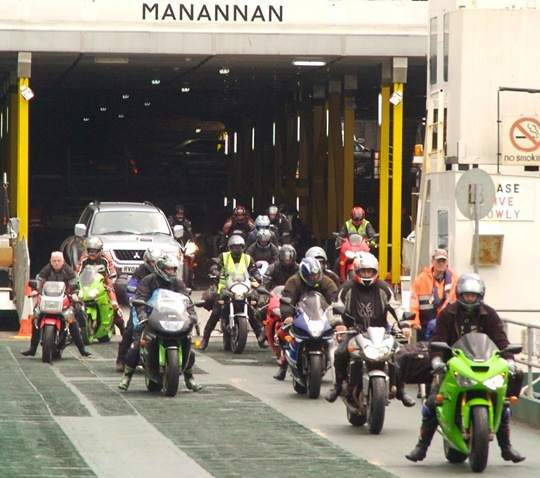 A new vehicle deck will be fitted to the ‘Manannan’ fast craft, accommodating an extra 300 motorcycles each way every day, providing the capacity for thousands of extra motorcycles during the 2015 TT. SPC carried over 12,100 motorcycles each way during the 2014 TT, an 8% increase from the 2013 figure, and demand for the 2015 crossings is already ‘substantially higher’ than this time last year. CEO of SPC, Mark Woodward, said: ‘The continued growth in the popularity of the TT has led to significant increases in demand for travel during the festival. ‘We have invested heavily over the years to significantly expand our vehicle capacity for the TT.